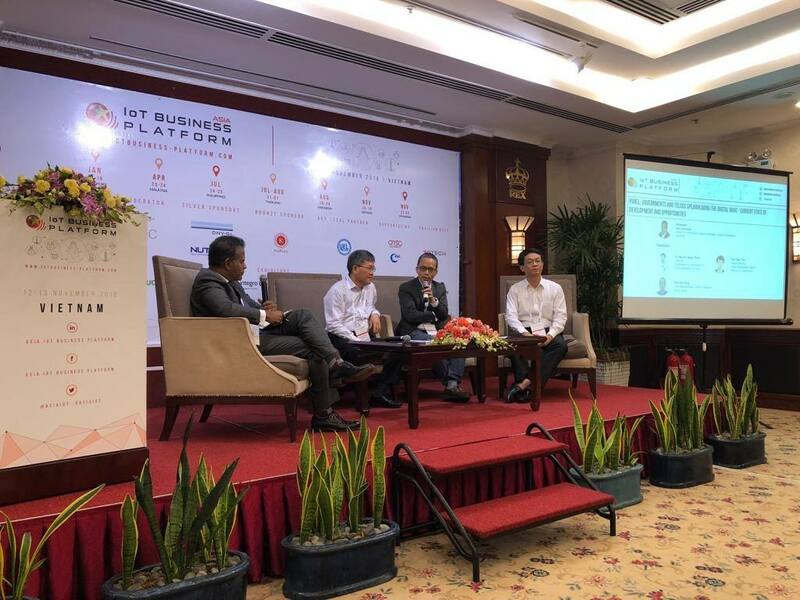 Ho Chi Minh City, Vietnam, 12 Nov. 2018 – Asia IoT Business Platform has returned for the 26th edition of its industry IoT gathering in Ho Chi Minh City, with key local partner the University of Economics and Law (UEL). In 2017 at the 19th edition in Vietnam, key areas of discussion were improvement of private and public sector enterprise productivity, harnessing ICT to alleviate problems in dense cities and empowerment of a Smart City vision. In 2018, smart cities topics continue to be a major focus in digital transformation in Vietnam. Sentiments we heard from last year seem to be somewhat like those of this year. Undoubtedly, although the country has taken great initiatives to excel through smart cities and industry 4.0, development progression has been slow. Infrastructure compatibility and big data management were two pain points in 2017, and this year, cyber security issues seem to have made it to Vietnam's list when it comes to enterprise digital adoption. On a city level, Dr. Nguyen Quang Thanh, Director of Department of Information & Communications of Da Nang felt that as a developing country, Vietnam is not in the right place to be using many advanced technologies offered by developed countries yet. He suggested that what the country really needed was the rise of more local entrepreneurs and the support of local solution providers to collaborate and overcome developmental challenges. 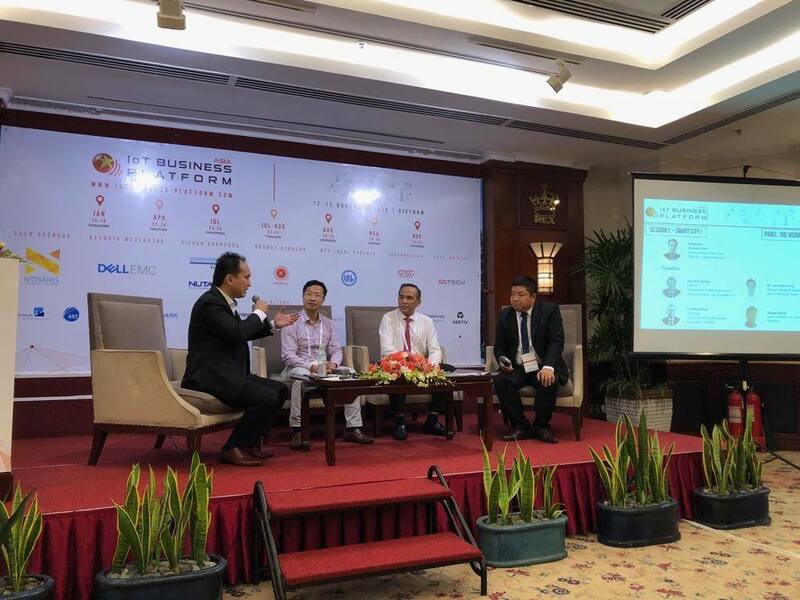 As telco provider, Dinh Duc Hung, Chief Representative Officer of Viettel Group mentioned to enable national and city level visions, infrastructure compatibility is extremely critical, giving credit to a good infrastructure system in Da Nang for the success of one of his smart city project implementations. From left to right: Nicholas Soon, Do Hoang Hai, Le Hoang Chau, Dr. Luan Quoc Hung at smart city panel discussion "The Vision of A Smarter Vietnam"
In the Smart City panel discussion moderated by DNV GL, when asked about a critical item Ho Chi Minh needs, Dr. Luan Quoc Hung, Director of Technical Department, EVNHCMC and Le Hoang Chau, Chairman of HCMC Real Estate Association both agreed that big data resources in utilities, environment and medical are important to build an all rounded smart city for citizens. In the utility industry, the 3 main area of investment for EVNHCMC now include data management, IoT and AI. On the other hand, Do Hoang Hai, Head of Business & Planning, IT Center, Mobifone added that with the availability of data comes security issues and concerns. Enterprises which are looking into adopting IoT and other digital technologies in Vietnam should pay attention to risk management and adopt a systematic approach to managing the different levels in their enterprise infrastructure. To provide local stakeholders better understanding between business value and digital technology implementation, the conference featured international case studies covering topics including smart cities and industrial IoT. The conference will continue to welcome case studies from both abroad and local on 13 Nov., such as data-driven logistics services by Ninja Van Vietnam, smart urban mobility innovations by Catalan Government (Spain), IoT and security impacts on businesses by PayPal and many more. 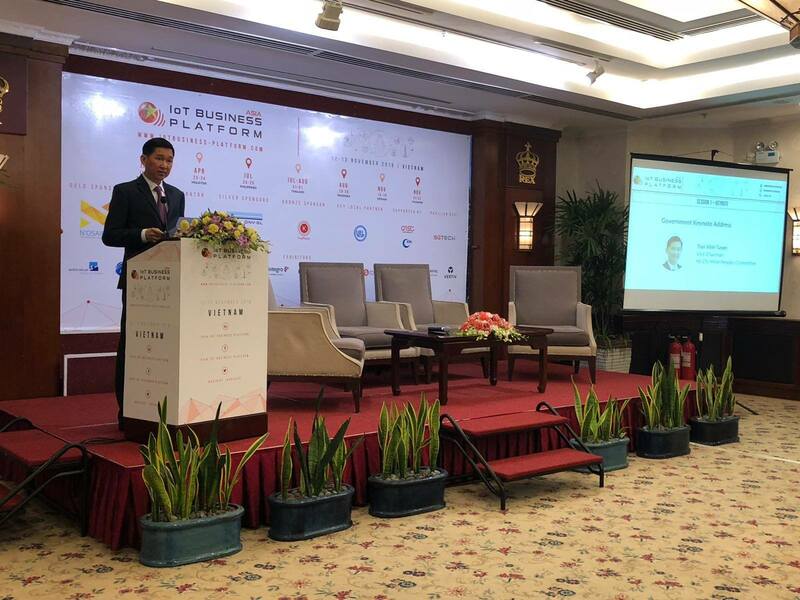 We have seen similar anticipation in Vietnam as we had in Thailand when it comes to calling for collaborations to help the country build a stronger foundation to sustain the on-going developments for smart cities and industry 4.0. If you're interested to learn more about the topics presented and the digital transformation business opportunities in Vietnam, please leave a comment below or email us at info@industry-platform.com.